The Flying Phantom ELITE materialised our wish to design a unique high end racing boat without compromise. It uses the finest technologies derived from the aeronautic industry like carbon prepreg, Nomex honey comb sandwich, high modulus carbon foils cured autoclave. 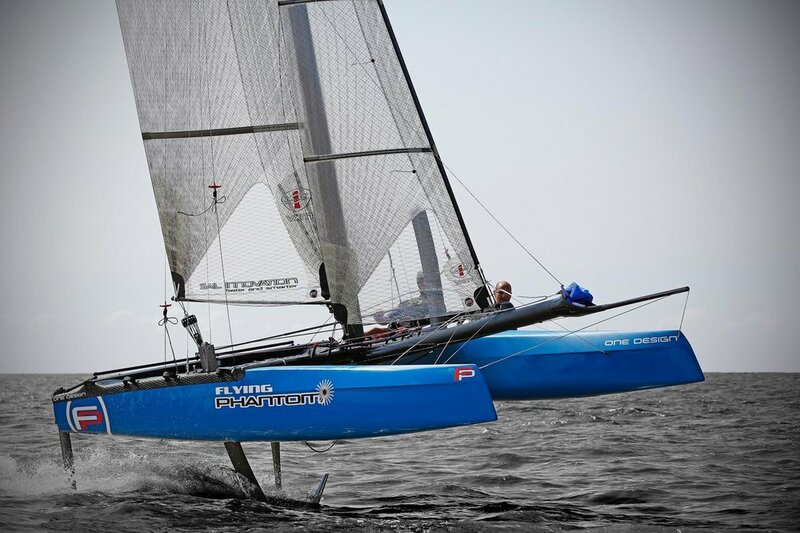 The FP ELITE is foiling with the windward daggerboard up like the latest America’s Cup boats. This foils configuration is designed for high performance, offering minimum drag in order to reach the highest speed. The design is based on PHANTOM’s design work built up over the years, and the expertise of Franck Cammas and Groupama Sailing Team. 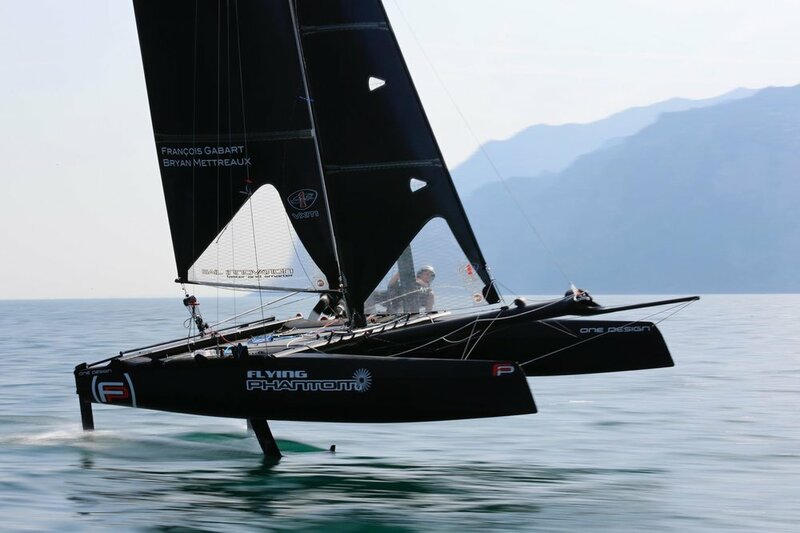 The FP ELITE is the first foiling catamaran designed by Phantom International, previously known as Flying Phantom. The high performance 18’ catamaran for experienced sailors. The FP Elite hulls are entirely built out of pre-preg carbon / nomex honeycomb cured at high temperature in a oven. This high-end technololgy used notably on the America's Cup boats and the aerospace industry is stiffer and 25% lighter than a standard wet carbon laminate with PVC foam. Pre preg also provides a perfect reproducibilty, whith very accurate control of the weight. The hulls are painted with an epoxy paint in order to save weight as compared to gel coat. FP Elite masts is built of a mix of T700 high resistance pre preg carbon for the strength and softness fore and aft, it is reinforced with M40J high modulus carbon for additional stiffness sideways. It is cured in autoclave with 6 bars of pressure. The tube is tapered in the top to save weight, reduce drag and improve the trimming of the main sail. Our gennaker chute is a monocoque piece of pre preg carbon sandwich being lighter and more aerodynamics than the standard bowsprit with external snuffer bag. The dagger boards and rudders are built out of high modulus prepreg carbon, cured in autoclave. This technology offers the strenght required to hold the high loads conditions during foiling, the additional stiffness that improves the boat handling at high speed. The foils are painted with a special Corindon paint for better durability and surface performance.